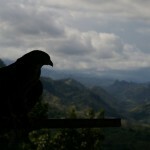 Which is the first thing everyone notices when arrived in Sulawesi? Its strange shape, bizarre but extremely beautiful in its contortions. Is there where you can find its character, its incredible diversity of people, its mysterious cultures and landscapes spread across its length and breadth. Mountains on all sides, volcanoes and rice fields, but also cave graves, tau tau (carved wooden effigies of the dead), a buffalo cult, houses shaped like boats and the dead treated like the living. 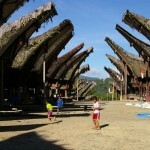 A visit here is out of this world, starting from the Toraja’s elaborate death rituals. Sulawesi is full of natural attractions, for example the leading national parks with its draws and ancient megaliths in Lore Lindu and bug-eyed tarsiers in Tangkoko. 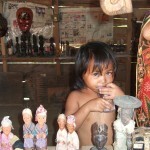 However, it is the waters of Sulawesi that harbour its real treasures. There are the beautiful beaches of the laid-back Togean Islands in Central Sulawesi and the incredible Wakatobi Marine National Park in the far southeast. Just offshore, Pulau Bunaken and the Lembeh Strait are some of the best diving and snorkelling in Indonesia, if not the world. 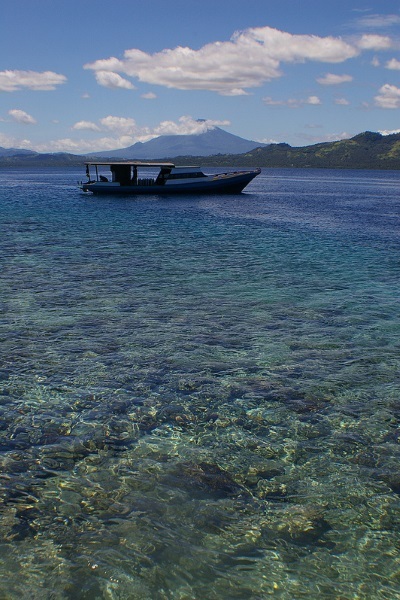 Bunaken National Marine Park (North Sulawesi) is the principal destination for many visitors for its spectacular marine life. 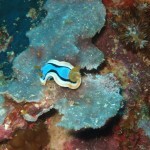 There you can find barracuda, dolphins, sea snakes, killer whales and Hawkesbill turtles. 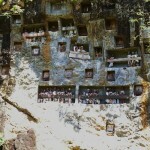 Londa (6km south of Rantepao) is a very extensive burial cave at the base of a massive cliff face. The entrance to the cave is guarded by a balcony of tau tau . Inside the cave is a collection of coffins, many of them rotted away, with the bones either scattered or heaped in piles. A local myth says that the people buried in the Londa caves are the descendants of Tangdilinoq, chief of the Toraja when they were pushed out of the Enrekang region and forced to move into the highlands. 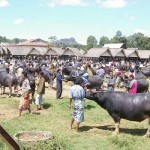 Many visitors site this as one of their favorite places in Tana Toraja. From diving photography to wild trekking areas, there are many things to shoot in Sulawesi. A bgrip BH. Carrying the camera on your belt with a b-grip BH is very comfortable allowing the quicker response for your needs.